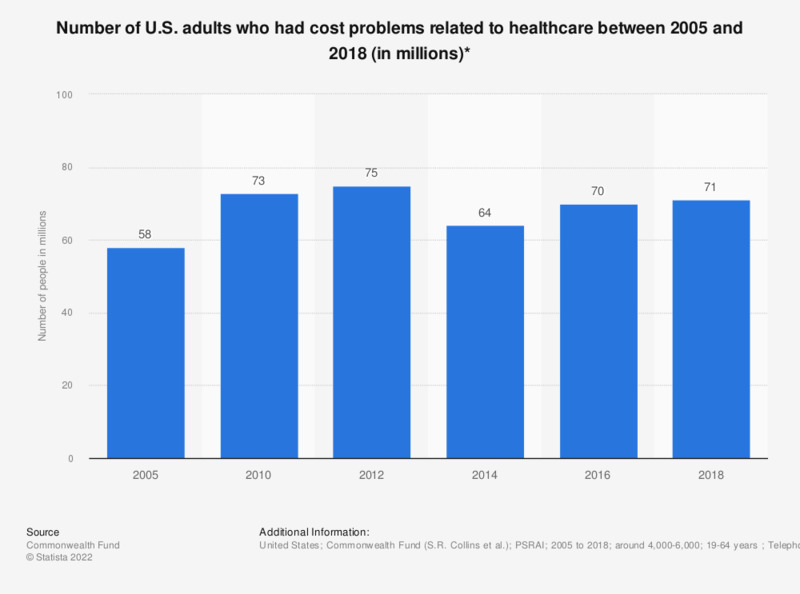 This statistic displays the number of U.S. adults who had cost problems related to healthcare in 2003, 2005, 2010, 2012, 2014, 2016, and 2018. Based on the survey conducted, some 73 million Americans had some kind of cost problem related to healthcare in 2010. This number was reduced to 64 million in 2014, but increased again to over 70 million until 2018. * Percent of adults ages 19–64 who reported any bill problem or medical debt; not including adults who reported being contacted by a collection agency because of a billing mistake.